Our draft Health and Social Care Sustainability Transformation Plan (STP) sets out how we think services need to change over the next five years to achieve the right care for people for decades to come. It will help us deliver the Five Year Forward View, which sets out the national vision for health and social care. You can find out all you need to know about the STP Case for Change and answers to commonly asked questions on the dedicated STP website www.kentandmedway.nhs.uk. We need to do this because our current health and social care system isn’t set up to meet the needs of today’s population. Many more people are living longer – which is great – but they want and need a different kind of care. Although most people get good care most of the time, services are not always good enough, too many people wait too long for treatment and we can’t recruit enough staff. So, first and foremost, we need to design services that improve services for our patients. At the same time, we are facing a big financial problem. 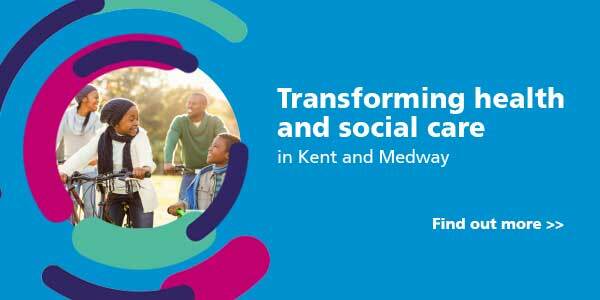 Across Kent and Medway, health and social care have £3.4billion in funding but overspent by £141million last year. Without change, we will be looking at a gap of £486million in our budgets by 2020/21. We want to get this right, and we know that we need your views to help us do that. So we will use all the means at our disposal to involve patients, carers, the public and health and care professionals, at every stage. In the New Year, along with more detailed information about the STP, we will publish a timetable for engaging with the public in Kent and Medway in 2017. 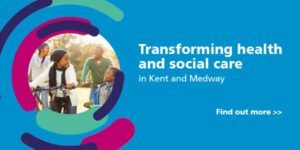 Find out more about what we want to achieve and our ideas so far by reading Transforming health and social care in Kent and Medway which has details of the local clinical commissioning group websites where you can find out how you can have your say. You can also join our membership scheme to keep in touch with what is going on and make sure you can have your say at the appropriate time. Please spare the time to get involved – we need to hear from as many people as possible to get this right for the whole community. The STP survey on local care, which ran from 13 October to 23 December 2016, has now closed. Thank you to everyone who took part. The results will be analysed and fed into the plan. As part of our growing library of resources and information on the STP, we’re publishing the ‘digital road map’ for Kent and Medway which looks at the IT landscape for our area and the priorities and ambitions that we have for making technology work better for patients and clinicians.